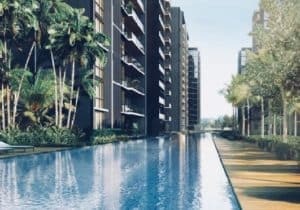 Home » Blog » Success Stories » Client Success-Story: “Wanted to buy an investment property in Singapore, bought 2 instead”, Shivani B.
Shivani has been renting in Singapore for 10 years and counting; she now wanted to buy an investment property in Singapore. She knew she had to enlist the help of a property agent but was apprehensive that she’d end up with a non-genuine agent who didn’t put her needs first. Thankfully, Shivani’s fears were unfounded. She met her ideal agent through Propseller, and because she was so impressed by his professionalism and transparency, she even went on to purchase a second investment unit with him. 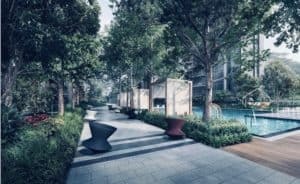 I’ve been renting in Singapore for 10 years now, so I’m familiar with that side of the market. That said, purchasing an investment property in Singapore is completely new to me. Bearing this in mind, I wanted to get a property agent to help me out. I had already worked with many agents by that point and was not satisfied with their service. They were either ingenuine or couldn’t find a unit that fit my needs. Some even tried to pass off an un-rentable unit to us, which we luckily avoided thanks to other people we spoke to as well. Even during my tenancy I met a lot of agents who have their own agendas and they were never in our interest, so I really wanted to be careful here. While doing my research, I stumbled upon a Facebook article talking about Propseller and how their USP is unique and personalised. I was intrigued and emailed them immediately. The team responded very quickly and put me in touch with Andrew, whom I eventually hired to be my agent. First, doing all the research really burns up a lot of time. Sometimes, the agents seem to be more concerned about competing among themselves rather than serving their clients. That’s why I was so glad that I could outsource this task. Thank you, Propseller, for vetting, approving and recommending me a great agent! After I passed Andrew my requirements, he quickly compiled a list of properties that he thought would fit the bill. My husband and I went for a couple of viewings that he arranged and fell in love with the 2nd property that we saw. We wanted a unit in a new development (so it would be easier to rent out!) and a good neighbourhood; of course, it had to fit into our budget as well. This property that Andrew showed us ticked all the boxes. Needless to say, we were sold. Of course, all the credit goes to Andrew. He understood our requirements very well and we didn’t have to repeat ourselves or elaborate on what we were looking for. At the same time, Andrew didn’t pressure us into making a purchase and was very candid and upfront. For example, we were discussing a unit he had recommended and asked if it was possible that a building would be erected in front of it further down the road. He replied in the affirmative but gave us a workaround. We could purchase a unit in another block, which would not face the same issue. Other agents we worked with weren’t as upfront about such things and just wanted to close deals quickly. All in all, I really appreciate Andrew’s honesty. I’ve worked with plenty of agents who would deliberately withhold such information, so having an agent who was straightforward and candid was a breath of fresh air. In fact, Andrew looked after our needs so well that we decided to purchase a second property with him as well. Both transactions went through quickly, which was perfect. We have never had such smooth property transactions in our entire lives, and I am not exaggerating. Thanks to Propseller, my property purchases were unbelievably easy and fuss-free. I found a great agent to help me buy an investment property in Singapore, all thanks to Propseller. Take it from me… it’s a lot easier to get a recommendation from Propseller rather than hunt down individual agents on your own. I don’t know how they did it, but Propseller‘s recommendation was spot-on. Andrew was by far the best property agent I’ve worked with, and I’d gladly engage him again.